IMR has adopted a new project in Banane, an extremely rural area in Garissa region, that lacks any form of comprehensive healthcare for hundreds of miles. IMANA has partnered with the Islamic Foundation of Kenya to fund the construction of a medical center with an initial contribution of $50,000. Last phase of construction is now underway and the project is expected to be completed by the end of 2018. 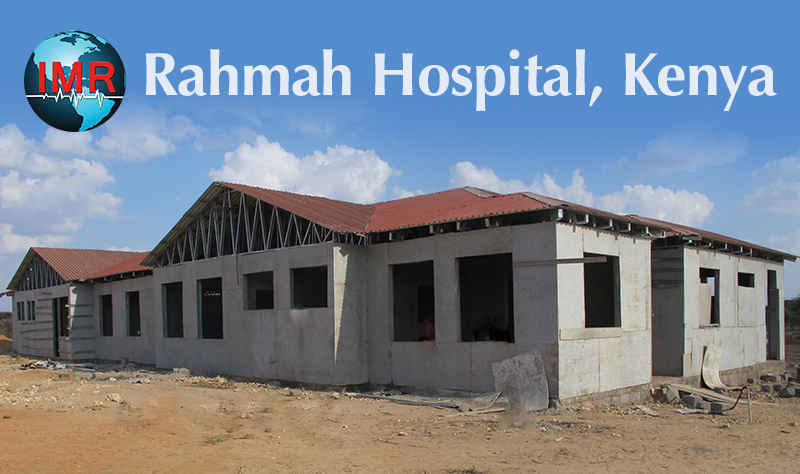 Any initiative to build a hospital that will serve thousands of people over the years deserves support. If our contribution can lead to saving a life or improving someone’s health then that’s a perpetual Reward in the eyes of Allah SWT.